We have some great free training resources to help you and your team get confident with video and start implementing video into your business marketing strategy. 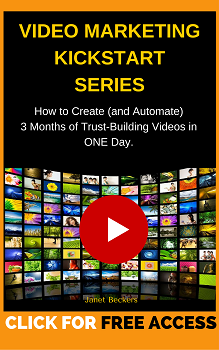 We recommend you start with our Video Leverage Checklist and the free training we provide as a bonus. CLICK HERE: To download now. 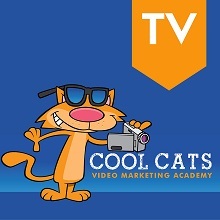 We practice what we preach and every single week we share a short and sweet video with tips on how to get confident in front of the camera, use video strategically in your marketing and grow your business with automation. You can find us here on the blog, over on iTunes and also a weekly email with the latest 3 minute episode every Wednesday. Keep up to date with latest trends in the video marketing space, Search Engine Optimization with video, gadgets and case studies. Because we named our business "Cool Cats"( Our intention is to help you create videos that are even more popular than cat videos), this gives us an excuse to include as many cat videos and funny pictures of cats as we can. You gotta have some fun in business right?